“When Gregor Samsa woke one morning from troubled dreams, he found he had turned in to a giant insect.” This iconic line opens Franz Kafka’s famous work – Metamorphosis. It is the story of Gregor Samsa who wakes up one morning as an insect, becomes an inconvenience to his family and remains locked in his room where he ultimately dies. Written in 1915, this story has inspired generations of writers, artists and thinkers to delve into strange macabre and the absurd world described in Kafka’s work and seen most starkly in Metamorphosis. 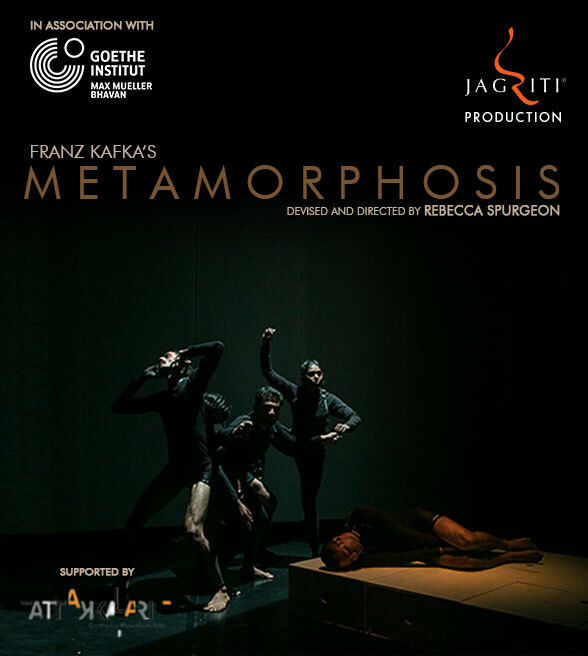 This theatrical performance of Metamorphosis has been adapted by the director Rebecca Spurgeon from Franz Kafka’s short story Metamorphosis and devised for performance on stage. It uses physical theatre, shadow work, text and sound – to recreate central themes of the story and describe the journey Gregor makes from turning into an insect, up until his death.